Connect with your own potential for inner resilience and unshakeable happiness, no matter what happens around you. 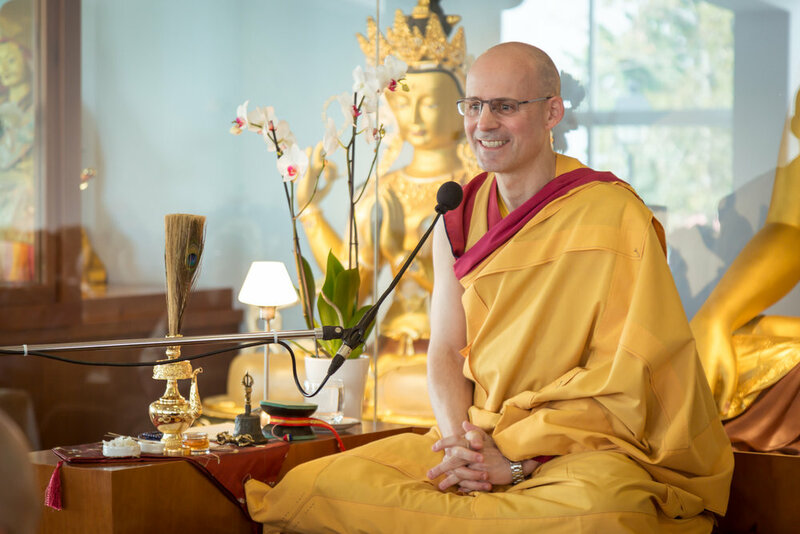 During this special weekend event, Gen-la Jampa will explain the methods to build a strong foundation for happiness and confidence within your own mind. Be empowered to rise above negative habits of thinking, and learn how to overcome them with proven meditation techniques that enable us to develop attitudes that support inner peace and mental strength. Gen-la Kelsang Jampa is the Deputy Spiritual Director of the New Kadampa Tradition – International Kadampa Buddhist Union (NKT-IKBU) and Resident Teacher of International Kadampa Retreat Center Grand Canyon.